While we’re mostly concerned with just getting our brood and their belongings sanely and safely from home to activity and back again, have you ever thought how those additional passengers would be covered by your auto insurance policy in the event of an accident? For instance, if you were held liable as a result of an automobile accident in which one of your kids’ friends got hurt, would your policy provide coverage for that child? Fortunately, most personal automobile policies will provide coverage for injuries that occur to non-family vehicle occupants as a result of an accident that is your fault. Keep in mind though, that serious injuries often mean tens of thousands of dollars in medical bills. Plus, the more people injured in the accident, the greater the cost. It’s not uncommon for a serious automobile accident to exceed several hundred thousand dollars in bodily injury expenses. So how can a family shuttle service operator best protect him or herself from the financial risks of their avocation? 1. Purchase high limits of liability on your auto policy. Coverage is available in most states up to $250,000 for each person and $500,000 for each accident. A high-limits policy ensures you’ll have the coverage you need in case the worst happens. 2. Consider a Personal Umbrella Policy. Did you know that for less than a dollar a day (in many cases) you could purchase a $1 million umbrella policy which provides additional coverage above and beyond the basic auto policy? 3. Talk to your agent before you load up. Don’t assume you’re covered. 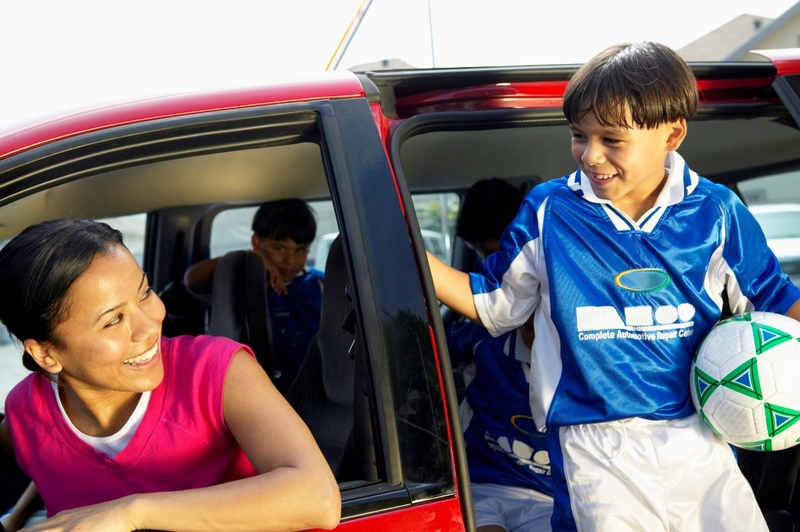 Let’s say you rent a 20-passenger van to take your teenager’s tennis team to an out-of-town tournament. The fact is, your personal auto policy may not provide coverage depending on the vehicle’s weight. Or let’s say you’re a coach, teacher or volunteer who has regular access to the school’s vehicle in order to transport your team. The personal auto policy won’t provide coverage for vehicles you don’t own but are available for your regular use. It’s always safest to consult with your agent first—when in doubt, give your agent a shout! Are you a family shuttle service operator? What sorts of problems have you run into transporting other peoples’ children? I’d like to hear your stories! In my opinion the end of summer is sad, because children needs to go back to school and we can’t go in holydays now. We wait till next summer :D. Best regards ! I agree Vauvan, it’s sad because the great weather is ending and family fun is over, but it’s also exciting for the kids to get back to school and begin a new academic year.